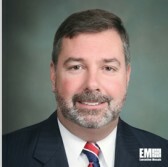 Chris Smith, vice president of shared services at AT&T’s global public sector and wholesale solutions business, has said 5G technology can support government agencies across five areas and one of those is the platform’s capability to build up citizen engagement. Smith wrote in a GCN piece published Monday that connectivity through 5G can help facilitate video sharing to address public safety concerns, improve public services and transform interactions between citizens and agencies. He noted about the potential use of 5G in national defense. “The arrival of 5G portends greater use of augmented reality, virtual reality and other applications that can support the defense mission,” he wrote. Smith also discussed the possible impact of 5G on the government’s cybersecurity posture, workforce and internet-of-things networks.